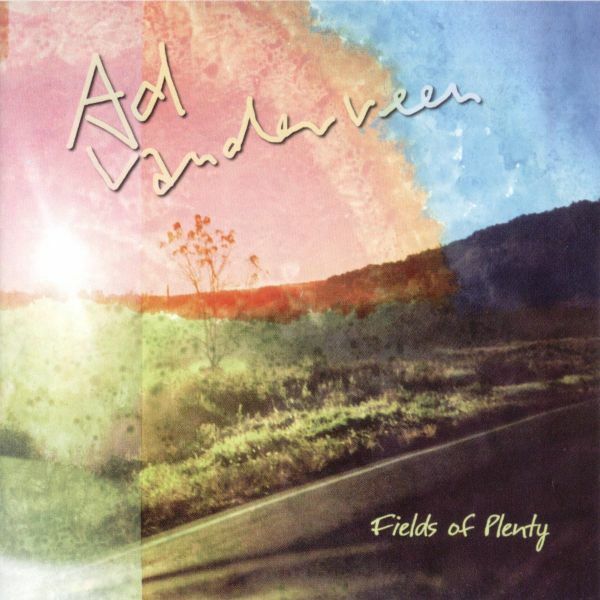 Ad Vanderveen is one of Europes leading singer-songwriters in the new folk and roots genre. Although born a Dutchman (Hilversum, 1956) half his family are Canadian and its this part of the world his musical roots can be traced to. A collection of twelve songs penned over the past two years, recorded in an acoustic solo setting. This time Ad followed his muse so quickly and directly that his original demo recordings overtook the process of record making. The CD contains nine new original AV songs and three co-writes with Nashville natives David Olney, John Hadley and Thomm Jutz. Honoring timeless folk tradition, Ad focuses on the songs and their content, with arrangements and production left sparse. There are 11 new songs on there dealing with the many facets of love, confusion and learning, which is what Ad's life has been about in the past 2 years. It was recorded with the Crossroads Combo (Kersten de Ligny (vocals), Arwen Linnemann (upright bass), Roel Overduin (drums)) at our favorite crossroads at De Amer in Amen. We captured a good blend of acoustic and electric songs with plenty of improvisation. The tracklist reads as follows: To Say I Love You, No Man's Land, Whose Blues?, Home To Me, Love's Why You're Alive, Going To The Well, Stationary Ways, Every Day People, Cloud Of Unknowing, Wild Horses, Fate's Final Word. With am impressive catalog of nearly 20 records behind him Ad Vanderveen now releases his new Cd called "days Of The Greats", a record that kind of sums it all up; themes ranging from growing up on the American Dream, childhood memories and roots in Canada, heroes in music and beyond (a tribute to Clint Eastwood), growing older and older living for the Muse and, of course , Love. " The more I try to reinvent myself, the more traditional my music seems to get", according to Ad. "but definitely got a new sound and set in today's context, no time for nostalgia>" Contempary Folk with a Rock & Roll streak, 11 new original songs, vintage instrumentation in a modern day sound is how the new record is best decribed. 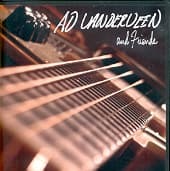 Ad Vanderveen is a gifted singer and an ace guitar player, who has written and composed hundreds of timeless songs, released over twenty albums and toured incessantly throughout his native Holland, as well as Germany, Switzerland, Austria, England, the US and Canada. He worked with big name American artists like Al Kooper, Flaco Jeminez, John Gorka and David Olney and cut albums with Texan songstress Eliza Gilkyson and English folk legend Iain Matthews. 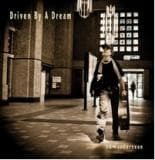 Just listen to Driven By A Dream, his brand new collection of eleven songs - musically very diverse, but always spot on in bringing his message accross to your ears... and heart. Ad recorded the album at Rockfield Studios in Wales, where just about every famous artist in rock history has worked at one time or another. Together with producer Matt Butler, his Dutch band and a couple of hand-picked English session cracks, Vanderveen recorded a selection of songs that belong to the very best of his vast body of work. The best things in life, as in music, have a way of happening before you know or even plan them. "I was planning to keep still a while after the�release of�Still Now but failed miserably",�comments singer/songwriter Ad Vanderveen one year after the release of his acclaimed electric/acoustic concept 2cd.An invitation from friend and producer/engineer Matt Butler (renowned for his work with Paul Mc Cartney, Mark Knopfler, John Martyn and many others) resulted in an atmospheric and all acoustic Cd called "Faithful To Love". The sessions took place in January 09 at The Stone House, Butler's 18th century Herefordshire home in England and feature the voices and guitars of Vanderveen and singer/companion Kersten de Ligny, as well as the trademark violin and�mandolin�sounds of old friend Jim Morrison, that go back as far as Ad's earliest�work in the 80s. The song selection consists of 9 originals�and 2 covers (by Diana Jones and John Gorka) that feature�the voice of Kersten. "It was�mostly an intimate celebration of�friendship and love that was around the house and evoked this timeless folk spirit. 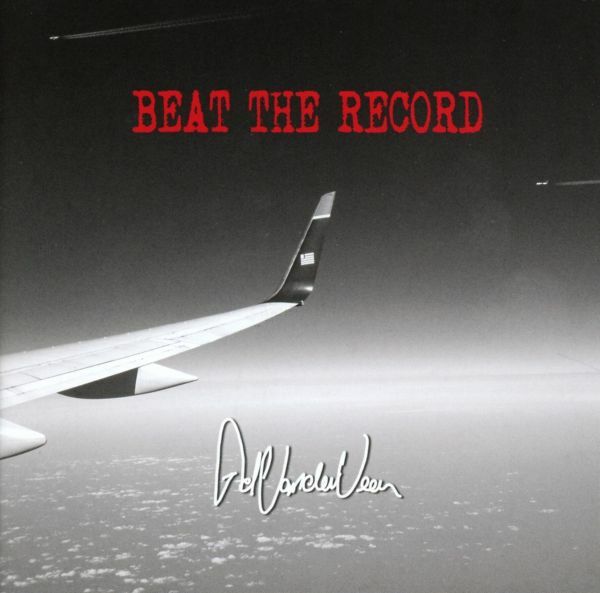 I had 8 new songs�and 1 remake that I thought of saving up�working towards�a new record in a year or so,but�this all came pouring out now,�to Matt's�reassuring�words of judgement�"It's a Record!, a fantastic Record! ", Vanderveen concludes. A brand new full lenght album, made in the spirit of traditional field recordings, using portable but sophisticated equipment on locations of different kinds (basements, gardens and also live venues). 13 tracks including a cover of Roger Whittaker show again why he is not only a very accomplished guitarplayer but also a superb singer/songwriter. 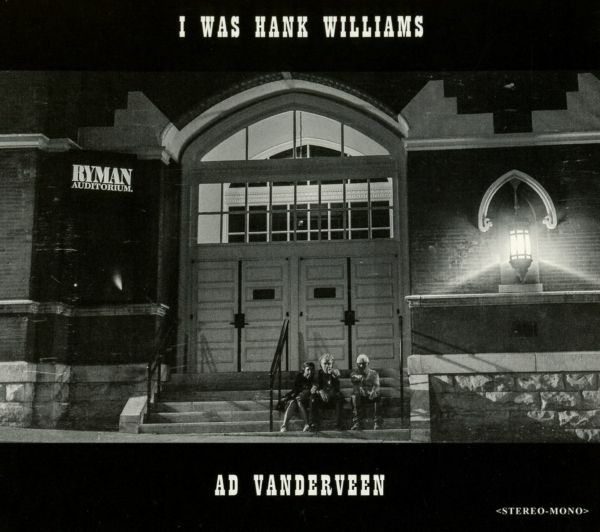 Reminiscent of works like Jogn Stienbeck's "Travels with Charlie' or Bruce Springsteen's 'Nebraska', the new album 'I was Hank Williams' by songwriter and singer Ad vanderveen is a personal quest and an adventure. It is a quest for self-knowledge leading to spirituality, and an investigation into the origin of a dream. A dream that is old and has led the writer down a long road of countless songs and many records. It has strong fascination for the new world, and is anchored in the old one. Remarkable of Vanderveen's work may be the insights and influences of Eastern philosophy, which he has sturdied and practised for years, that shine a special light of different subjects, within a musical context of a distinct character. 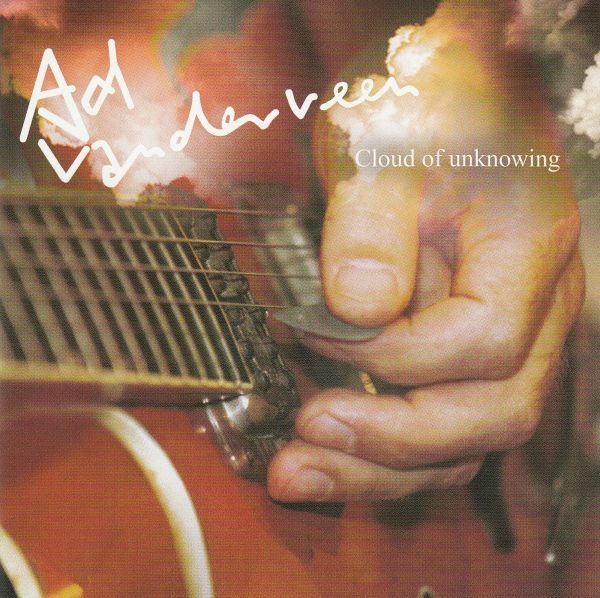 In addition to the "Late Bloomer" cd, released in 2003, Ad Vanderveen comes with a DVD, featuring older material in new arrangements, as well as 6 brand new songs. There's footage from the 2003 theatre tour with Iain Matthews, a recording session with The O'Neils, a sessions in Ad's basement home studio and some interesting extras. 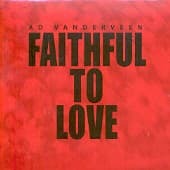 a double CD by singer songwriter Ad Vanderveen. One disc consists of new songs and is titled: Presents Of The Past. The other disc contains newly recorded audience favorites entitled: Requests Revisited.As the titles suggest there is a connection between the two and they seem to go together like a kind of concept album. The listener gets an inside peek into, and an overview of, the singer songwriters life and work over a 40-year career.The basis for the new songs on Presents Of The Past was recorded live with an acoustic combo in a small theatre without an audience. The songs breathe an atmosphere of timelessness, rich with roots music influences and traditional instruments. The M.O. of Requests Revisited is more of a studio production with arrangements for band, strings and guest musicians.The common thread throughout both discs is acoustic under-and-overtones, with musicianship always serving the lyrics. The arrangements are sparse yet effective, with upright bass, percussion, guitars, keyboards, banjo, accordion, harmony vocals and even a gospel choir. 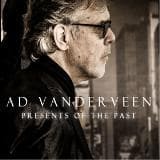 Anew project from one of European's leading Singer-songwriters in the Americana genre; On the heels of his acclaimed double Cd release Prestents Of The Past/Requests Revisted, Ad Vanderveen set out to reinvent himself in the summer of 2015. With 10 new songs under his belt he explored new musical teritory, eventually resulting in the formation of an electric 3 piece band. 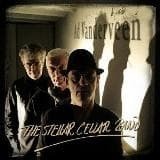 Setting up in a pace called The Stellar Cellar, the very same place where they began working in bands some 30 years ago, he found himself back fronting a rocj n roll band, playing a mix of Rock, Folk and Country influenced music. The Stellar Cellar Band covers a wide range of styles, from solid rock to lyrical ballads, dubbing it:"Garage Folk/Rock Songs and Improv". TRACKLISTING: 01. Pioneer Here 02. Pssin '84 03. Working 04. While The Night Is Still Young 05. Foll In My Life 06. New Musical Dreams 07. Melancholy Blues 08. Load Of Memories 09. Highway 10. Forever Young! 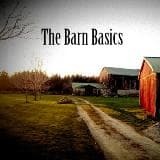 Parallel to "The Stellar Cellar Band", especially for acoustic music lovers, an independent limited-edition CD with acoustic versions of the same songs will be made available, called: The Barn Basics. This high-quality recording was made in an old barn with acoustics and an atmosphere very well suited to the music and it features Ad with his long time partner and musical companion Kersten de Ligny. The schizophrenia between electric and acoustic music runs throughout the history of popular music and no less through AVs career. Its two distinctly different listening experiences that seem to appeal to different audiences. Thats why, even in this time of declining Cd sales, we want to offer both options;The Barn Basics is for a layed-back acoustic listening mood,The Stellar Cellar Band is for a more energetic electric band listening mood. At age 60 singer-songwriter Ad Vanderveen realizes more than ever that writing is primarily a personal necessity; its between him and the universe and a small but devoted fan-base are welcome to listen in.Vanderveen has been a musical adventurer for well over 4 decades, exploring and following his muse wherever it takes him. This time this path led to acoustic improvisational songs with a contemplative mood and atmosphere.Worlds Within is an album of poetry and music in motion, in the sense that it consists of poems set to music with an improvisational approach. Some of the songs turned out like compact folk tunes, while others seem to lose track of time and venture way beyond the usual 3 to 4 minute time span.The lyrics have a personal and philosophical character and the music breathes a contemplative and mystical atmosphere, rooted in an earthy acoustic folk style. "These songs started out private and personal, as songs do, and together with some great musicians we made what you could call a record of contemporary folk with some jazz and classical overtones."